All activities, dates and fees are subject to change. Participants may not make-up classes which have been missed. Class make-ups will be made due to SRD cancellations only. When registering, if the class is full, your name will be placed on a waiting list and you will be notified by phone. If a space opens or a new class is created, you will be notified. If wait listed, do not attend the first class if you have not been notified to do so. Programs not meeting minimum registration may be cancelled. A refund will be provided. Returned checks will incur a $25 service charge. To ensure your child’s safety, pick-up students promptly at the end of his/her class or program. All classes will meet indoors when experiencing inclement weather. 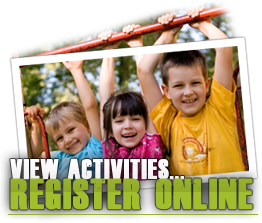 Sports and outdoor classes have indoor curriculum plans.